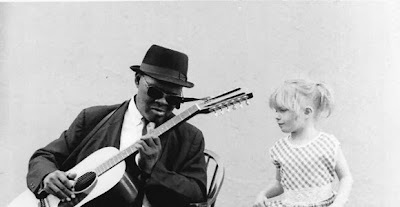 Harlem Street Singer is the story of Reverend Gary Davis. Born blind Davis taught himself to play the guitar and sing the blues. Eventually turning to God he switched his style to gospel, however the blues were always there he eventually became famous as various musicians encountered him and the soon to be famous turned to him to teach them to play the guitar. A good little look at an amazing musician. This film shows very clearly how the Davis quietly changed the face of what we consider popular music through his students which included Bob Weir, David Bromberg and others. While Davis is an amazing man, the man and his music are the reason to see the film, the film doesn’t match his greatness. Part of the problem is the film is frequently hopelessly technical. If you don’t know the technical terms about the way Davis is playing then you’re going to be lost as to what, beyond the obvious, makes Davis so special. The other problem with the film is that the film doesn’t clearly lay out the time line of events. In what year were people like Bromberg and Weir taking lessons? At what point did other events happen? We don’t know so much of the narrative feels jumbled and perhaps even rushed. I like the film but I don’t love it. I’m guessing that this will end up on PBS, in which case do make an effort to see it.